Sabaj Da2 - SMSL IDEA. An affordable version of Dragon Fly RED? Video Review available at the end of this article. In the not so far past and also nowadays for some there is just one king in a world of super small USB DACs (Headphone amplifiers). And that is DragonFly RED from Audioquest, well known brand to any audio enthusiast. DragonFly RED is an amazing product. No doubts. It deserves its place on the top of most people’s thinking when making a purchase decision about a new DAC. But it’s already some time Audioquest came up with this product and put the right ingredients into an amazing recipe every audiophile likes and respects. So it was just a question of time when also other brands start responding to this idea and maybe will even try to aim market of people who find Dragon RED expensive for what it is. No offence there. Sabaj and their product called DA2 is one of those responses to DragonFly. 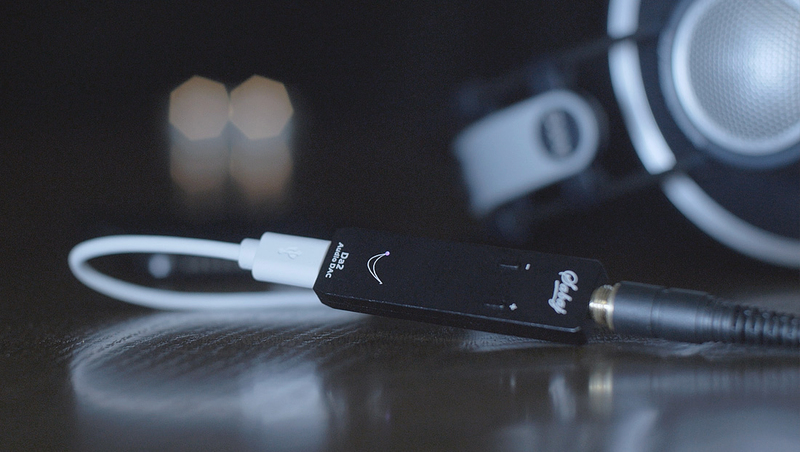 It’s the smallest DAC I have ever seen with mind blowing features for its price. So I couldn’t wait to do a review on this tiny device and find out how it sounds and compares. What is worth to mention first is that Sabaj DA2 is absolutely identical to SMSL IDEA except of the volume buttons design which is slightly different than on IDEA and the bottom of the housing is also slightly diffrent but all internals, features and functionality are absolutely the same. During the time of this review DA2 is slightly cheaper than the IDEA. DragonFLY RED is a great product. No doubts. But it was just a question of time when someone else respond and will try to compete with more affordable solution. This is that kind of device that when you see the pictures and even that you expect it really small you are surprised from it’s actual size when you open the box. It’s the smallest device I have ever seen. Hats down. Great engineering done here. The technology goes so fast and engineers proves once more again what is possible to fit in such a small package. The housing of this dac is all from metal. Just the tiny volume buttons seem plastic. SMSL offers more color variations. Red, black and grey. Sabaj just a black variation. The finish seems from a normal distance and on touch as a black smooth paint but when you look really closer it has slight metallic look and texture. The device is also super light which is I think the reason why you should be even more careful with the micro usb port as it is not going to be heavier then the weight of the cable you will connecting it with. I noticed sometimes when I connected a micro USB cable the connector didn’t remain in a straight safe, fixed position. Due the force and weight of the cables it was going to loose a contact soon or later. So again, it felt delicate and fragile as micro usb always is. Wish we have USB type C here instead. The main purpose of this device is clear and most people will buy it because it’s super portable dac and headphone amplifier they can carry around paired with their phone or other device promising due its dac chip SABRE9018Q2C a solid sound. 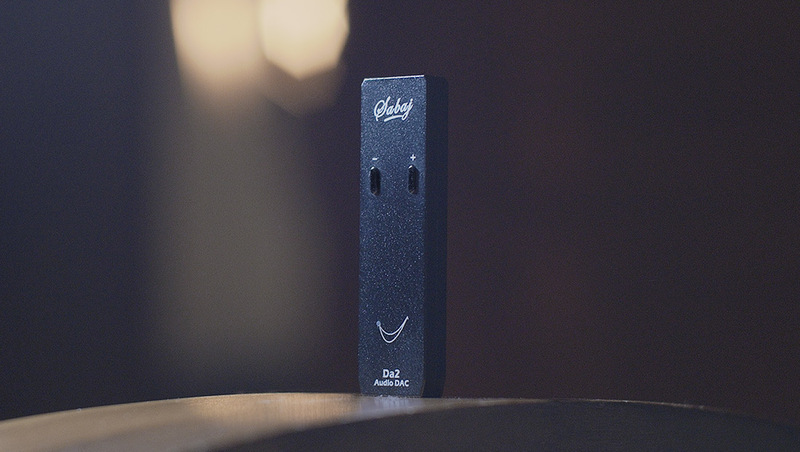 But it is made also to serve as a laptop or desktop dac or headphone amplifier as the Dragon Fly. DAC features a hi-resolution 32 bit 786Khz input and supports a native DSD512 playback (22.5792MHz). The data are transferred via micro usb port (2.0 asynchronous) on the top of the device and a 3.5 mm jack at the bottom. Physical volume buttons allow a manual control without a need of it digitally in your computer or phone. Volume buttons work also during DSD playback which manufacturer highlights. What you can find in the box and comes with this device is besides the dac itself a manual and also short OTG cables. Micro to micro USBcable, Micro to type-c and short USB A to micro. I tried to connect it to variety devices and used for testing purposes on my laptop and Samsung galaxy 8 plus another android phone. I had no issues with any mobile devices or PC detecting it. Some people have been experiencing quite heavily some interference noise issues when connected to their phone I did experience that issue as well but when reconnecting it again / unplugged and plugged again / all worked just fine and sound was clean. There is even a statement from a manufacturer on SMSL website as a notice describing how to solve the issue with a downgrade of the firmware of the device and limiting so the transmission to USB 1.1 instead USB 2.0. I personally would not do that. With the downgrade you are losing also any possibility to upgrade later back and also as not many people know with the downgrade you are going to limit the output/input sampling rate possibilities as high bit-rates can’t be used through USB 1.1. due speed limitations. I have tried the promised DSD512 playback via Foobar2000. The installation of the needed driver and step by step guide how to set up foobar2000 is in my video review and might be posted here later on. Just leave me a comment if you would like me to post it step by step. After figuring out the foobar2000 setup all went fine and I had no issues with DSD playback. No buffer issues or any other problems as some people described on some forums. All my DSD files were playable. 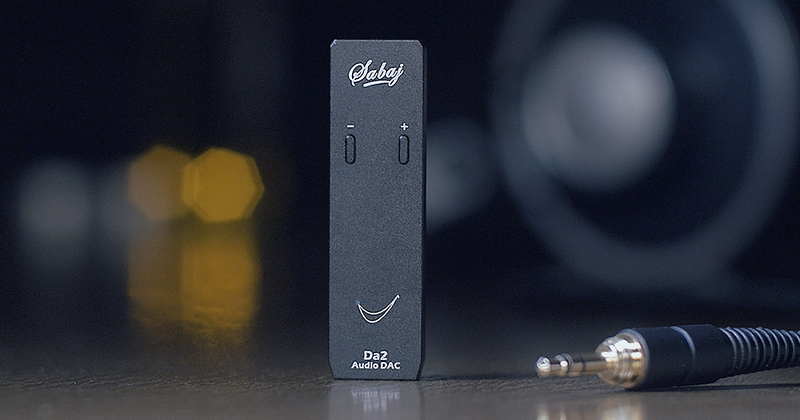 The nice thing is that the driver allows you to see the sampling rate outputting and also the dac itself below the Sabaj logo has an led indicator changing from green to blue and red depending on quality playing. Red is for DSD, Purple high resolution (352kHz and above) and blue for lower rates. Let’s start with numbers here this time. Sabaj DA2 promises due specs of its manufacturer 121dB of a dynamic range and 108dB signal to noise ratio. Low distortion. Native DSD512 playback. I know some of you might say you don’t need DSD. Who has DSD and so on. But trust me if you have already started your audiophile journey you will reach soon or later the point when you will want to at least try if you can hear the difference in quality. Then you will be moving yourself from a streaming and any convenient digital source to higher possible quality, ending up with an analogue. Meaning turntable. So if you are not there yet you will try some SACDs and DSD files. So personally for me it is important to have a DSD playback as I have some collection os SACDs and DSD/ rips. But let’s go back to the sound of this DAC. Is it a DragonFly killer? Well I have to say this DAC is impressive especially considering the price. As I always say it is not just about the DAC chip and honestly, I was quite skeptical even due its form factor. I believe some people might have the same doubts when looking at such small device. You just can’t believe that some goodness is in it. How could it fit in it, right. 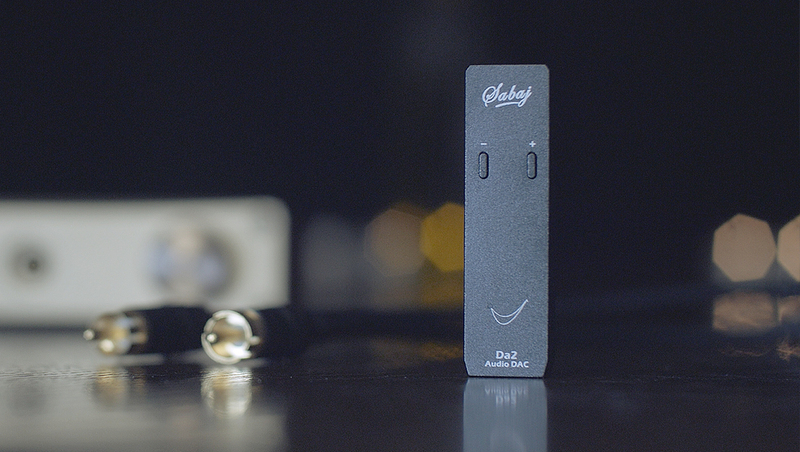 So does this DAC sound actually better than for example a pure desktop DAC as SMSL Sanskrit I tested recently. Yes. It is definitely an improvement in comparison to that. The sound of DA2, SMSL IDEA is in a next level when it comes to a texture and resolution. It still has that cold sound signature with a hit on highs due its Sabre chip which is known for that so be careful with what kind of headphones you will be pairing it with. The sound stage is nicely wide and seems even extends on K702. All very clean and balanced. The sound seems has been taken really seriously even when some people due the dimensions and look of this device might doubt. But. As it is a combination of two things in one. The weakest partner is here the amp. In every combo I tested so far it was the amplifier to me. When I was using it as a desktop DAC and paired it with SMSL SAP8 I got surprisingly very different sound with a big improvement of speciousness and clarity of detail. It has brighten up but not in way of harshness or any impact on highs but it brought the clarity and detail to the front. The amplifier in this DAC is capable to drive 150 ohms headphones but at its maximum volume to convenient listening volumes but not to a crazy loudness. It all makes sense to me. Which gets me to the point of my personal conclusion and recommendation to you. SABAJ DA2 – SMSL IDEA. For 45 US Dollars there is in my opinion no competitor for this DAC. In a world where DagonFly series exists. Especially when the RED version will cost you 200 dollars we definitely needed a competition and cheaper solution. SABAJ DA2 – SMSL IDEA paired with SMSL SAP8 quite impressed me in its overall sound reproduction. Combining these two together, balancing the typical Sabre chip highs and the narrowish sound stage feel from SABAJ’s build in amp the result at the end was above DragonFly Black and to my ears even felt more airy and detailed than respected RED version. So to me the winner in overall value is SABAJ DA2. As for 46 euros plus shipping ( AliExpress) there is simply no competition for this little DAC. However I decided to use DA2 as a desktop DAC as I feel the amplifier is the weakness point of it which I am fine with and makes completely sense to me. The only thing which annoys me a bit and will annoy you too is that all the time when you connect it it’s always on 50 percent of its volume so to push full 2 volts to my amplifier I needed to adjust the volume to maximum again and again. But besides that. This is the best value DAC for your money you can get today if you are looking for an improvement of your current on board sound card. If your IDEA is to use it as it was made and meant as a portable DAC/Headphone amplifier just keep in mind that USB fragility and possible quicker power drain of your device / battery. Thanks. You can check the setup in my review of SMSL IQ. First you definitely need to download and install the specific Xmos drivers from SABAJ’s website. I might be doing a video how to set it up properly in Foobar2000 and the tricks, around the setup if you would be interested.